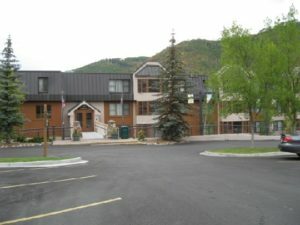 Jorge Antonio Aboumrad Ayub and Maria de Los Angeles Vega de Aboumrad purchased a two week time share interest in Unit 5409 at the Evergreen at Streamside Condominiums in Vail, Colorado for $35,100 on February 13, 1992. They used the time share interest as collateral for a $22,815 loan on the same day. Signatures of Jorge Aboumrad Ayub and Maria de Los Angeles Vega de Aboumrad on the Purchase Money Deed of Trust. Jorge Antonio Aboumrad Ayub and Maria de Los Angeles Vega de Aboumrad sold one week of the time share for $12,900 in 2001. The deed of trust for the time share was fully released in 2002. Jorge Antonio Aboumrad Ayub and Maria de Los Angeles Vega de Aboumrad sold the remaining week of the time share for $27,900 in 2003. Jorge Aboumrad Ayub was a shareholder of Performance Boats S.A. de C.V. along with Erika Chedraui Budib and Roberto Aboumrad Ayub in 2009, according to a filing with the Naucalpan public registry. ChedrauiLeaks has previously written about Erika Chedraui de Aboumrad and Roberto Aboumrad Ayub’s interest in another timeshare at the Evergreen at Streamside Condominiums.